If you want your website to be SEO friendly, you will have to work very well with the formatting of your webpage. To begin with, do you know the differences between header vs heading? The font, size and the style of the text you choose for your website will be crucial to help you to rank higher in the SERPs. Keep reading to know how to optimize your website for Google! The header is the basic information about the website or page you are written. 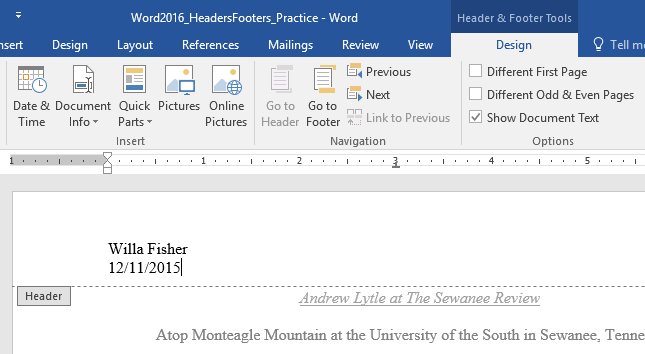 In MS Word, the header is placed on top of the page to describe maybe the title of your work, the author, or the chapter. It serves as a small guide for the reader to know the structure of the page. On the other hand, when talking about websites, the header is the meta structure of the website. In here you will be able to add meta information for Google so he can understand what this page is about. Usually, the reader will never know what the header of the page is. However, this information is vital for Google and will be very important to achieve a better ranking in the SERPs. The headings are the visible titles of the text. In other words, this is the structure that your readers will see when they read your article. The headings are usually written in bigger sizes, on top of each paragraph, describing the information contained below. Headings are also usually referred as h1, h2, h3 up to h6, depending on the importance of the title and the size of it. Headings are not only important to guide the readers through your articles or website, but they are also of crucial importance to let Google know the structure of your text. Having a better heading structure will optimize the content of your website and will let you rank higher. For Google, a good website must make a reader happy!